Certain life events such as applying for a mortgage, renting an apartment, buying a car, applying for a credit card, and others, require income and employment verification. This tedious, time-consuming, yet necessary task is a burden to HR departments and comes with federal regulations that must be followed. A company’s employees depend on these verification requests to be met in a timely fashion in order to obtain the credit or assistance they need. WAGEverify.com automates the process and takes it off of HR’s plate. When a verifier calls with a verification request, simply send them to WAGEverify.com, and you’re done. HIREtech charges the verifier, not you. Our clients do not pay a dime to save on time. The Employee Data Controls feature allows your employees to pull up their own income and employment verification reports instantly and remotely, anytime, anywhere. If an employee enables Text Message Approvals, they will have the power to instantly approve or deny the request as well as block any request that they find to be suspicious or possible fraud. Peace of Mind – Data security is our top priority. WAGEverify is FCRA compliant, and HIREtech does not sell employee data. Period. Seamless Implementation – Our existing relationships with key payroll companies makes payroll feeds a breeze. 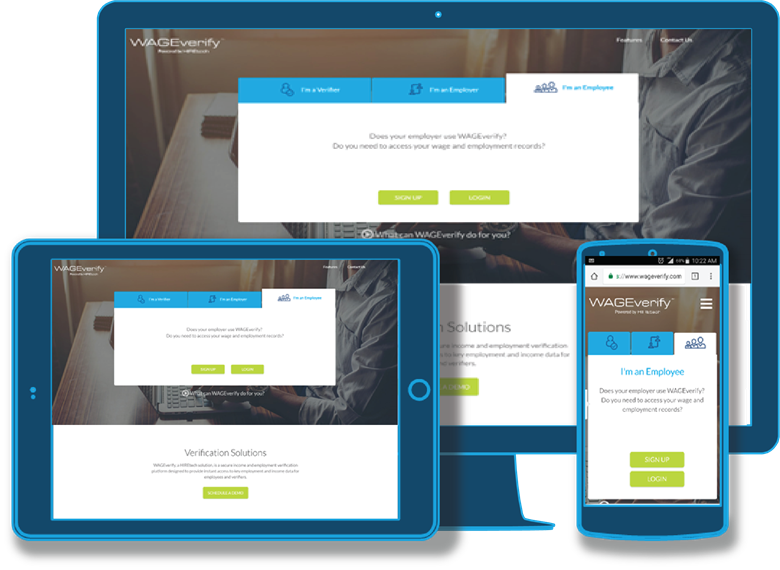 Continued Support – WAGEverify customer support is available online 24 hours a day. Our US-based telephone customer support team is also available during business hours to assist with setup and troubleshooting. Customizable reporting – All companies have their own method of capturing and storing employee data. HIREtech will customize reports to mirror your company’s internal reporting structure to include job titles, wage classifications, and pay types. Customized verification responses to meet the needs of each verifier means that you don’t have to worry about individual requirements.